There’s still plenty of summer left! So, if you’re looking for a simple and educational screen-free activity to try with your kids, you can’t go wrong with the rain cloud in a jar experiment. This simple activity is not only super-fun for kids to try, but it is also educational, too! While completing this project, you can talk to your kids about the principles behind the activity and how the results of this experiment are similar to how rain falls in real life. You know, sneak some learning into their summer! Or, if they enjoy year-round Science experiments, look at it as a colorful new way to show them how it all works! 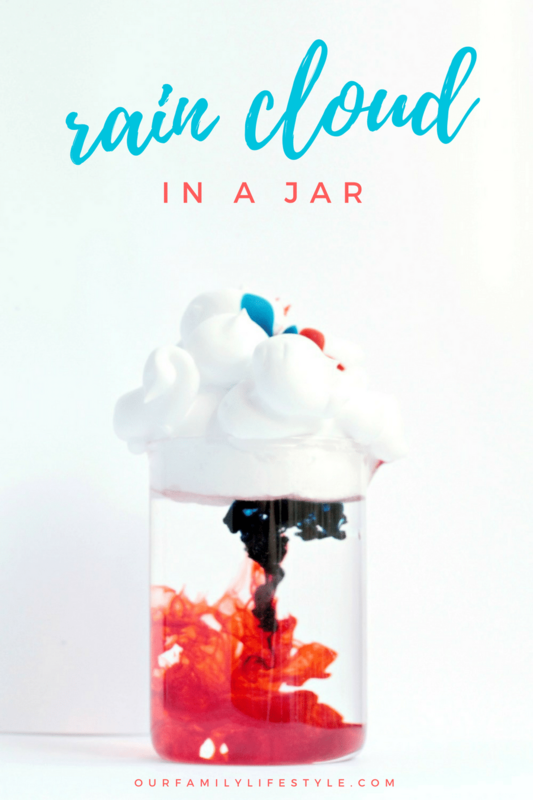 Adults and the kids alike will love making this rain cloud in a jar! It’s the perfect way to introduce the science of rain clouds to kids. Fill the jar almost to the top with water. We’ve learned that the longer the jar you use, the more dramatic your rainfall will be. In fact, if you have a tall clear water bottle (like those used during exercise), that would actually be the ideal container for this project. Next, make small puffy “clouds” from the shaving cream onto the surface of the water. Be sure to leave gaps between the clouds or it could take a lot longer to make it rain. 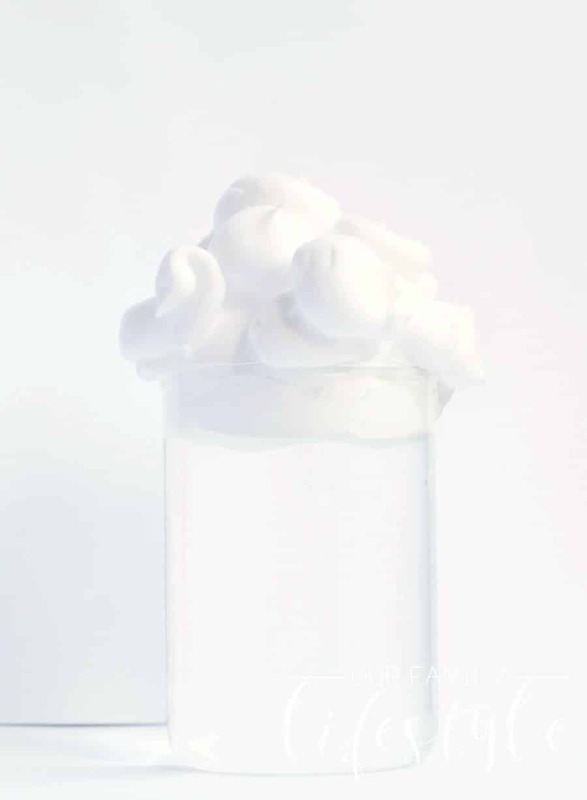 The shaving cream represents the clouds while the water represents air. 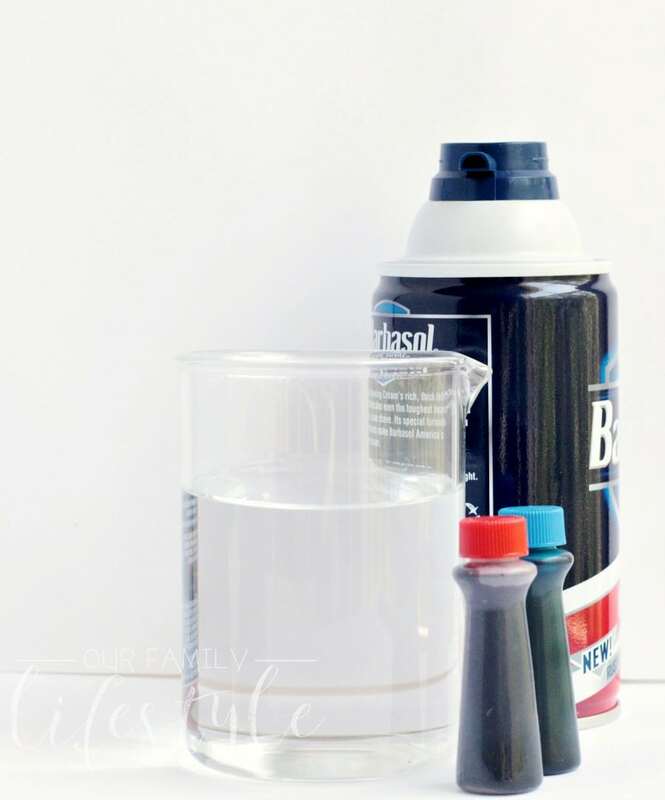 Help your kids gently squeeze a few drops of food coloring onto the shaving cream, and eventually, watch as the weight from the liquid causes the drops to pass through it. As the colors begin falling into the water below, you will see pretty patterns resembling rain falling from clouds. 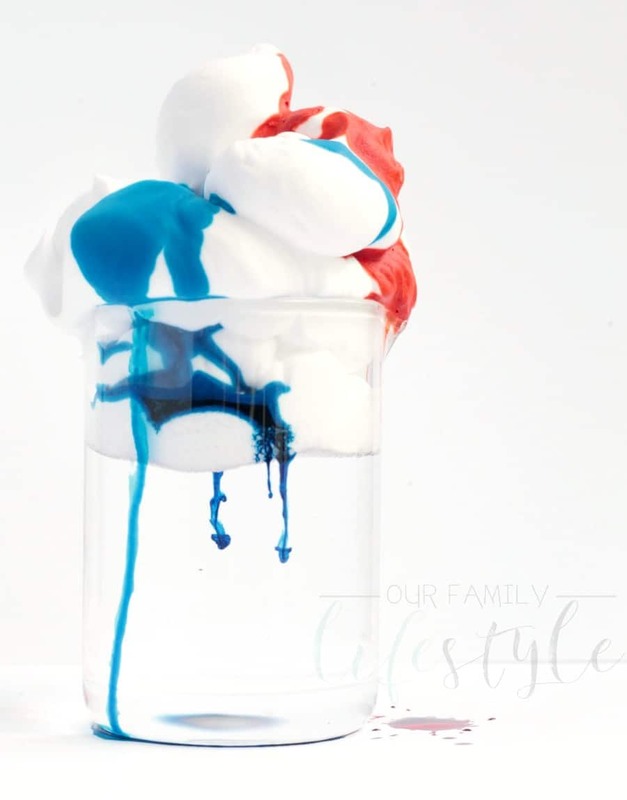 You may want to keep plenty of food coloring on hand because the kids might want to try this experiment over and over! Now this is where you can explain how real clouds work. Similarly to this experiment, rain does not fall from clouds until there is too much moisture for it to be held in the sky. The rain droplets get heavy and they start to fall out of the clouds to the ground below. Looking at a sky before a rainfall, you can point out the how the grey clouds overhead are heavy with water droplets. Just like in this experiment, the droplets will soon get too heavy and drop in the form of rain. See how easy and fun that was to learn? !